The use of restorative justice with victims of domestic violence is much debated. People point to the dangers of re-victimising the victim. Yet often the victims of domestic violence have few choices – prosecuting the perpetrator or simply putting up with the abuse. In this month’s guest blog for PRI, Dr Marian Liebmann, an international expert and consultant on restorative justice, argues that women need more options, and that for some, with stringent conditions in place, restorative justice can be a good choice. There are several countries where restorative justice is used to empower women in these situations and substantial research to back up its benefits for women. Restorative justice should focus on repairing harm, be a voluntary process, safe and accessible, with impartial facilitators, and respect for all participants. Processes include victim-offender mediation, restorative conferencing, family group conferencing, victim-offender groups and sentencing/peace-making circles. put the crime behind them. But how far does this apply to domestic violence? Domestic violence in this context is defined as violence used by (former) adult intimate partners, i.e. intimate partner violence (as opposed to violence committed by other members of the family, such as teenagers against their parents). Within this category, there are two main situations of domestic violence. The first is ‘situational couple violence’ in a single or in several events – these situations are specific events where things have escalated and violence has occurred. These are the situations where restorative justice can help to put things right and prevent further occasions of violence. The second situation is one where violence is part of systematic coercive control. This is a much longer-term issue and less suitable for a restorative approach. The main concern is for the safety of victims, particularly in a situation of power imbalance, where the perpetrator has already wielded unaccountable power in terms of violence. This unequal situation also puts pressure on victims, who may fear the worst if she (usually the woman, occasionally the man) does not go along with her partner or ex-partner’s suggestions during mediation. The other argument is the public aspect. Many women’s groups feel that restorative justice will be seen as a ‘soft option’, trivialising serious offences. 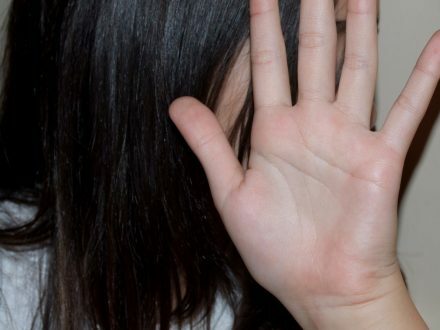 It is not so long since domestic violence was regarded as a private affair, and women’s groups fear that the lack of public accountability will set back the progress made in recent years in bringing domestic violence ‘out of the closet’. the victim learns: next time, don’t report it. in poor communities, if the perpetrator goes to prison or is issued with a fine, it may mean less food on the table for the family, or even destitution. These reasons mean that going to court can also lead to re-victimisation for the victim. In these circumstances, restorative justice may be preferred by victims, because it does not have the negative aspects outlined above, and can also address the relationship issues. It has been used successfully in many countries. In 2001 the European Commission adopted the Framework Decision on the standing of victims in criminal proceedings. This was superseded in 2012 by the European Directive on minimum standards for victims, and where victims choose restorative justice, the provision of safe and competent restorative justice services. However, in 2009 the UN Handbook for Legislation on Violence against Women explicitly prohibited mediation in such cases, and several countries (e.g. Spain) follow this recommendation. In 2014 the Council of Europe’s Convention on preventing and combating violence against women and domestic violence prohibits mandatory alternative conflict resolution, including mediation. Nevertheless, most European countries include access to mediation for some domestic violence cases. Research on restorative justice and domestic violence in Austria  and in Finland  was initially aimed at trying to develop a typology of domestic violence cases, so that resources could be targeted at the most suitable ones. However, they found that it was not possible to predict which cases will respond to restorative justice, as it depends on how individuals respond in each case. A more recent European Research Project 2012-2015 included six countries: Austria, Denmark, Finland, Greece, Netherlands and the UK. The most frequently used model in these countries was victim-offender mediation, usually pre-trial. This project showed positive results for victims and also produced a guide for practitioners, available from the European Forum for Restorative Justice. Running through discussions on this topic is the issue of empowerment versus safety for victims. Prioritising victim safety can perpetuate disempowerment, whereas prioritising victim choice can lead to dangerous situations. Restorative justice needs to balance these two issues in every case. There is a need for a positive victimology in which victims are seen as capable of making their own decisions according to their circumstances. there are appropriate support services, including for example referral mechanisms, counselling or therapy for the parties, and rigorous training and supervision for mediators. With these in place, restorative justice has much to offer victims of domestic violence. It should have a place as an option for those women who see it as offering a better way forward than going to court. See also http://link.springer.com/article/10.1007%2Fs10610-010-9117-8, subscription only. Dr Marian Liebmann has worked at a day centre for ex-offenders, with Victim Support, and in the probation service. She was director of Mediation UK for four years and projects adviser for three years, working on restorative justice. She has worked as a freelance restorative justice consultant and trainer in the UK and overseas, in several African and East European countries, and given presentations at UN Crime Commissions and Congresses. She is very involved in helping Bristol to become a restorative city. She has written/edited 10 books, including Restorative Justice: How It Works. Research by PRI and others shows that although the percentage of women who commit violent crimes is very small, significant numbers of those who do are convicted of offences against their spouses or partners, and these offences took place against a background of prolonged domestic violence. PRI and the international law firm, Linklaters LLP, have recently produced an international review of how legislation and the courts in nine countries deal with such cases. You can read the report here. Marian is an expert in restorative justice. She has worked for a number of organisations, including the probation service, and as a consultant, trainer and author.